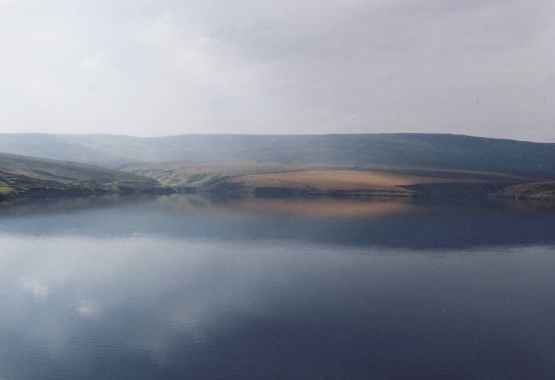 Little Whernside from 'Dead Man's Hill' path near Scar house / Angram Reservoir with Great Whernside in Background - a bleak spot! Start from Yorkshire Water Authority car park at Scar House car park. 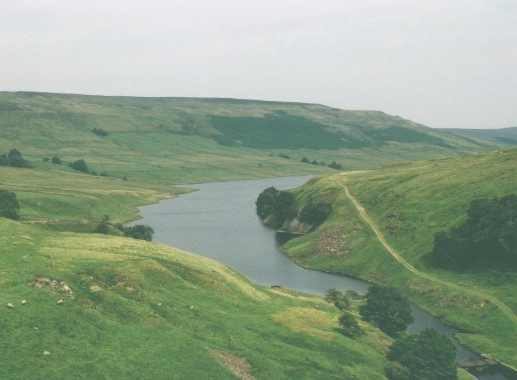 Cross Scar House Dam and on other side of the dam bear left and slightly uphill follow track around the contour slightly above the reservoir know as Carle Fell Road, an old drover's road. Pass the site of the old lodge and 200m past the lodge turn left at a 'T' junction and then right. 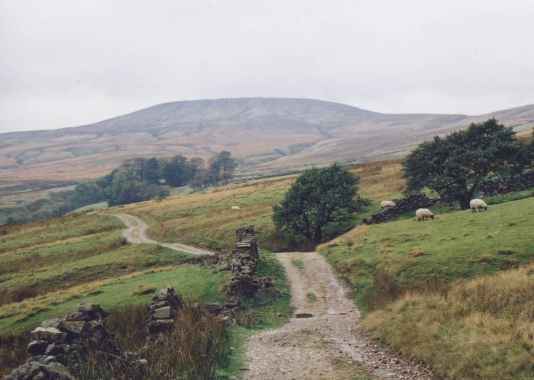 The path follows an almost a straight course diagonally to the crest of the hill between Little Whernside and Great Whernside. This can be boggy in places. After two miles the crest is reached. 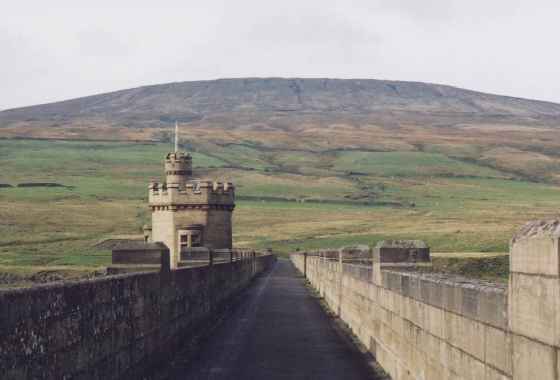 Turn sharply right along the crest of the hill to reach top of Little Whernside [604m]. There are many peat bogs to be negotiated and so it is best not to do this one after wet weather.